The house of Tengri creates exclusive, understated products from natural materials sourced from remote corners of the world. All our products are designed and made with the highest level of craftsmanship, produced for discerning and conscientious global citizens. A London-based design house, we are a pioneering heritage brand inspired by global journeys spanning from east to west. We build enduring relationships with people in places rich with tradition. Tengri is a social enterprise built on technological innovation, British design and craftsmanship, and a 100% transparent supply chain. We make our products in carefully considered locations with the best craftsmanship. Each piece is created with rare, sustainably sourced and natural noble fibres – so named for their exceptional qualities. We are a brand built by people unwilling to settle for the status quo. We work as a global movement: bringing together design, fashion, ethical business, technological innovation, conservation and individual consumer choice to do good. We aim to create lasting impact and to bring natural and sustainable fibres to the forefront of the luxury goods industry. This helps to preserve remote landscapes, protect wildlife, and support the livelihoods of indigenous communities threatened by rapid industrialisation and land degradation. Can Mongolian herders change high fashion? 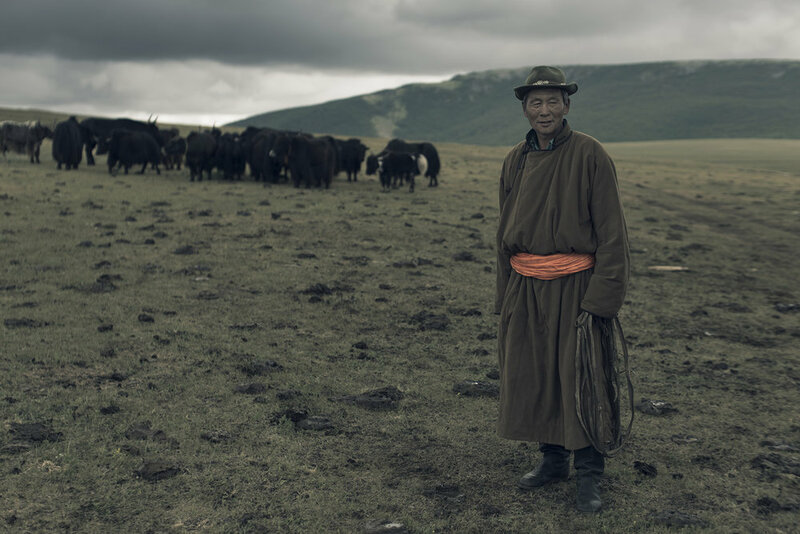 Tengri Khangai yak fibre is changing the worlds of both high fashion and nomadic communities. Meticulously crafted with innovative textile technology combined with centuries of heritage craftsmanship, our natural materials are sourced in partnership with communities living in rural and remote corners of the world. Our work reflects a deep-rooted and enduring respect for nature, preserving cultural heritage while pioneering new approaches for the future. See our journey as captured by CNN – Great by Design.